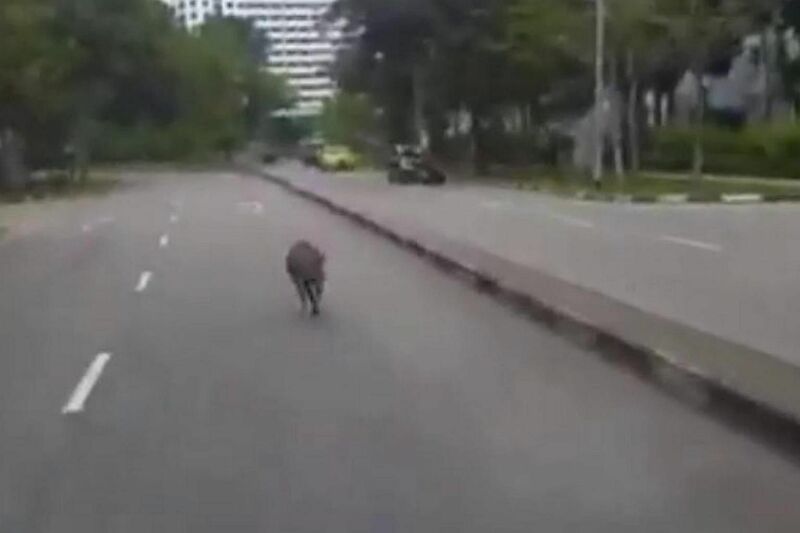 SINGAPORE - A boy was taken to hospital after a wild boar reportedly chased and injured him in Punggol on Sunday (May 29). The Singapore Civil Defence Force said it was alerted to an incident at Block 184 Edgefield Plains at 2.17pm and dispatched an ambulance. The boy, whose age was not reported, was taken to KK Women's and Children's Hospital, although it was not clear what injuries he suffered. When approached at his flat on Monday, the boy's father would only say that he had returned home and was feeling better, reported The New Paper. A Facebook post by user Joanne Wan on Sunday night claimed that a wild boar about 1m in size had been spotted at the same block. "It was last seen fleeing near Meridian LRT," she added. A wild boar was also sighted in the vicinity by a contributor to citizen journalism website Stomp at around 3.30pm on the same day. She said the animal had dashed in front of a lorry she was in, near Block 106B. 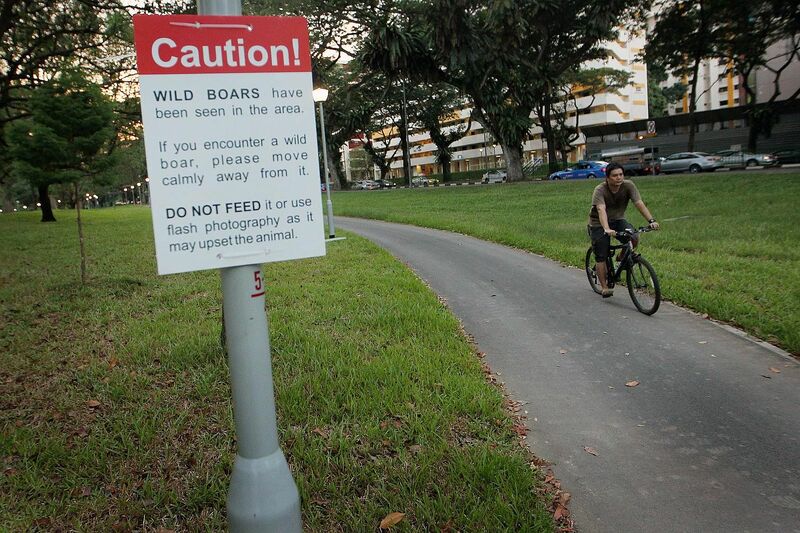 In response to queries, the Agri-Food and Veterinary Authority of Singapore (AVA) said it had received feedback on wild boar sightings in the Punggol area and was conducting control operations. "Members of the public who encounter wild boars should stay calm and not approach the animal," said a spokesman. The presence of wild boars in the area is not new. 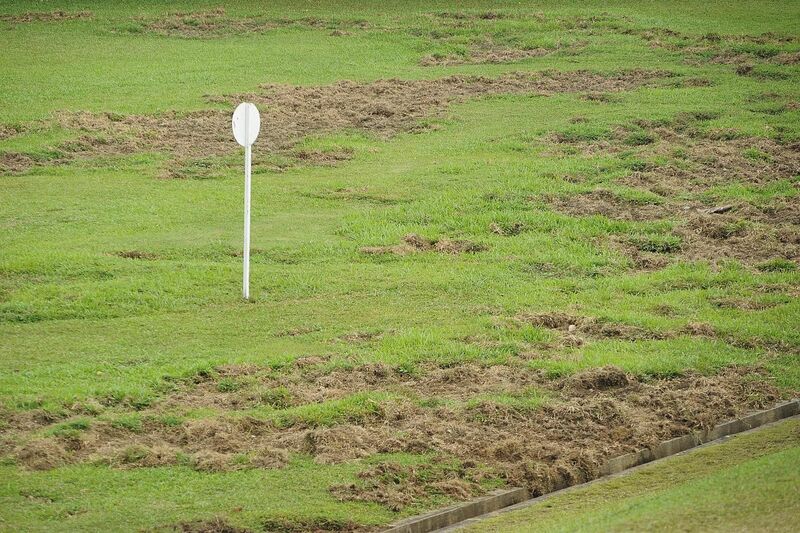 Last year, residents of Edgefield Plans also complained to the AVA regarding wild boars, with some even resorting to carrying wooden sticks to defend themselves. A recent joint advisory by the AVA, National Parks Board (NParks) and Wildlife Reserves Singapore states that the wild boar is native to Singapore. It can weigh up to 100kg and has a lifespan of over 20 years. The advisory said the animals are increasingly spotted all over the island in recent years, due to their quick reproduction rates, presence of ideal foraging habitats and the lack of natural predators. "Although they appear shy, they are still wild animals and are unpredictable in behaviour which could pose a risk to public safety," the advisory warned. "Like many other wild animals, wild boars will only attack if they are cornered or if they feel threatened." A motorcyclist fractured his left shoulder while travelling on the Seletar Expressway when he crashed into a wild boar as it dashed onto the road. The wild boar was killed. Edgefield Plains residents raised concerns about the possible dangers due to the presence of wild boars and wild dogs. About 80 wild boars in the Lower Peirce area were culled, reducing the population there to an estimated 30 to 50 boars. NParks said it started culling the animals there in 2012 to improve public safety and reduce the animals' danger to the vegetation. Five wild boar piglets were found stranded on a drain ledge after a heavy downpour by a resident of Springleaf estate in Thomson. They were later found to be healthy and released on a wild boar trail in Mandai forest. 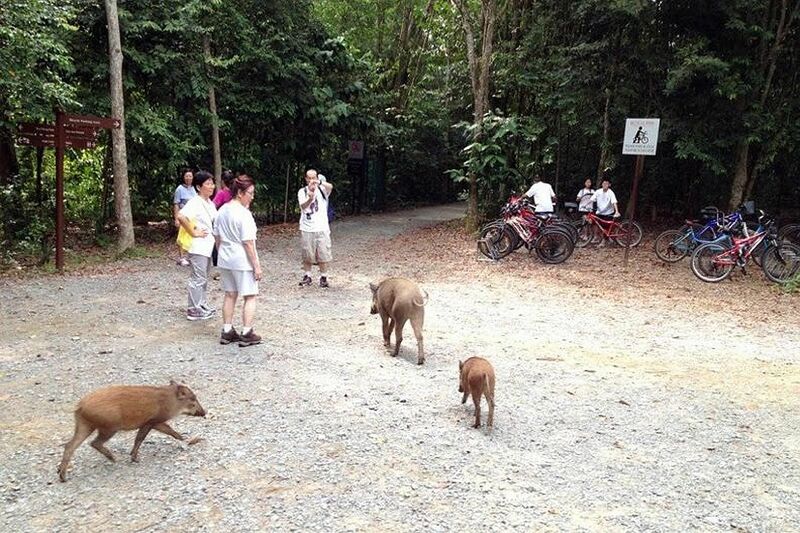 An elderly woman fell and broke her hip at Pulau Ubin after a wild boar went for a bag of food she was carrying. Madam Lin Hui Juan, who was then 64, had been on a half-day tour of the island along with 40 others. 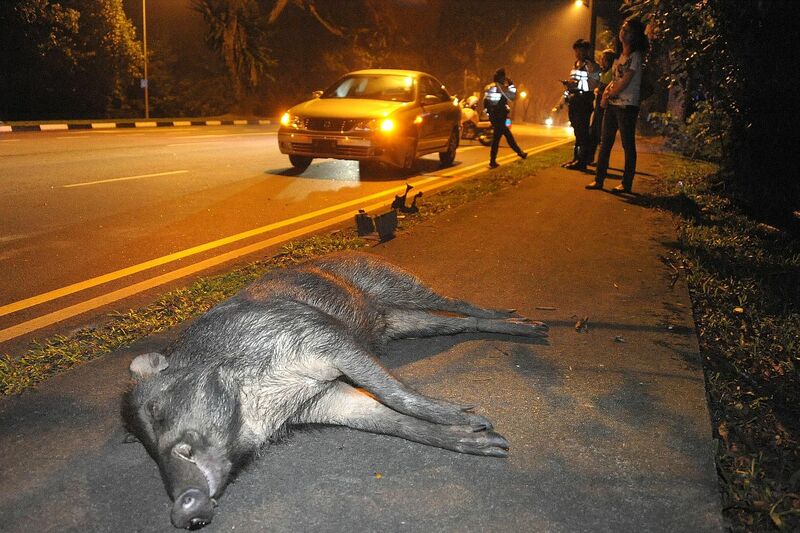 A wild boar was killed when it was hit by a car at Upper Thomson Road at night. The driver was left dazed but unhurt, while his car was dented from the impact. A three-year-old Labrador dog was badly gored in the side and bitten on its neck by a wild boar in a wooded area along Adam Drive, off Adam Road. Its owner spent almost $1,000 on its treatment. A wild boar believed to be from the Lower Peirce area wandered into Bishan-Ang Mo Kio Park, where it charged at a security guard and a five-year-old boy. The guard hurt his right hand while the boy, who was butted from behind, fell and landed a metre away. He was not seriously injured. The boar was later put down with a dart gun.